Are USA players better at blackjack than Australians? Americans may have a strip of some of the best casinos in the world but Australians have hard blackjack rules which only perfect their skills. But when it comes down to the two nations – which has the better players at blackjack? We take a look at the blackjack offered in both American and Australian land-based casinos, factor in online gaming and statistics, and conclude which has the better players of the two nations. Blackjack is a game known worldwide. There are plenty of variants which come with it but the standard game also offers differing rules which can be found in US land-based casinos but not in Australian land-based casinos, and visa versa. 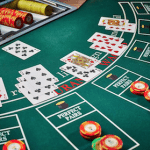 It has been found the house edge of blackjack variants in American casinos – Las Vegas casinos specifically – are somewhat lower than what is found in Australian casinos, even though Australia blackjack titles seem to have have more favourable rules. 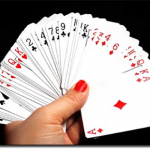 But this is put down to the fact 21 in American casinos is played with one or two decks – significantly lower than the four to eight decks used in Aussie casinos. This also affects the ability to card count – it isn’t as effective with higher decks meaning U.S players may have the advantage here if they know how to card count well. Other differing rules see dealers hitting on Soft 17s and players able to Split up to four hands – which you will not find commonly in Australia. Since Aussies have harder rules does this mean they are better at blackjack than American players? Perhaps not as Aussies actually tend to play Australian Pontoon (which is akin to Spanish 21) as it offers a third of the house edge found in land-based venues and is quite common – which means US players could indeed be better at standard blackjack than Aussie players. Prior to the introduction of the Interactive Gambling Amendment Bill to Australian law in September 2017, Aussies had a leg-up over American players due to the fact they had much wider access to online blackjack. It could be speculated that round-the-clock access to online games gave Australian players more chances to hone their skills. Additionally, it was reported by the Australian Productivity Commission Report on Gambling 2010, offshore online gambling was nearing $800 million in 2009 – which most likely increased since – it can be certain Aussies were and still are playing online. In United States in 2006, many online casino software developers withdrew from the US market meaning these players could not access the same wide variety of online blackjack games Aussies could. This is due to legislative reasons – Americans have the Unlawful Internet Gambling Act 2006 preventing players from making deposits which ultimately forced software developers to withdraw. Aussies have the Interactive Gambling Act 2001 that prevented online operators from establishing themselves within Australia but not Aussie players from playing at offshore online casinos. After the Interactive Gambling Amendment Bill was introduced, this grey area was cleared up, banning Australians from accessing real money online casino sites. Whether this means Aussies are better since they get more practice online cannot statistically be determined as of yet, but it is important to factor in there are more land-based casinos in the US in closer proximity to players, than in Australia. To really determine which country has the better blackjack players we are going to take a look at some statistics. According to the Economist it is estimated as of September 2015, Americans lost $142.6 billion to gambling while Australia lost $20.3 billion. What’s more is these losses were most prevalent in America in casinos, while in Australia this biggest losses were recorded on non-casino gaming machines. These statistics indicate Americans gamble more at casinos than Aussies – meaning they are more likely to gamble at table games and in turn have more practice at land-based blackjack than Aussies – while Australian players seem to gamble at non-casinos where there aren’t table games. This can once again be put down to the proximity to land-based casinos US players have, while Aussie players are limited to pubs and clubs with pokies. It would therefore appear US players could indeed be better than Aussie players at 21. These statistics do no factor in Internet gaming however, and as we mentioned above with more Aussies legally gaming online than US players we can come to the conclusion American players may be better at land-based blackjack but Aussie players are better online. At the end of the day there is a reason why so many Aussies visit Vegas and play blackjack, but if you want to become better at 21 there is an easy way to do so. If you are an Australian player and want to beat your US opponents or planning to visit Vegas and want to prove we aren’t as bad as we have previously appeared Down Under, you can practice online for real money, as we’ve detailed above. We only recommend playing at secure sites however as you’ll find rogue online casinos can steal your money. To ensure this doesn’t happen to you stick to the blackjack sites as recommended on our homepage of Blackjack Tips. Additionally, you’ll find plenty of guides here on our site if you aren’t well versed in the game of 21 and want to better Australia’s reputation at the table game one hand at a time.